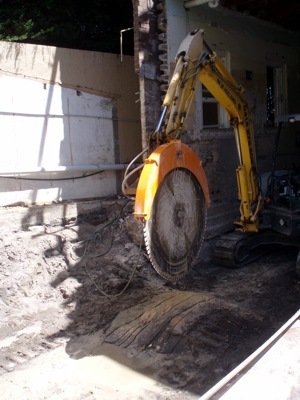 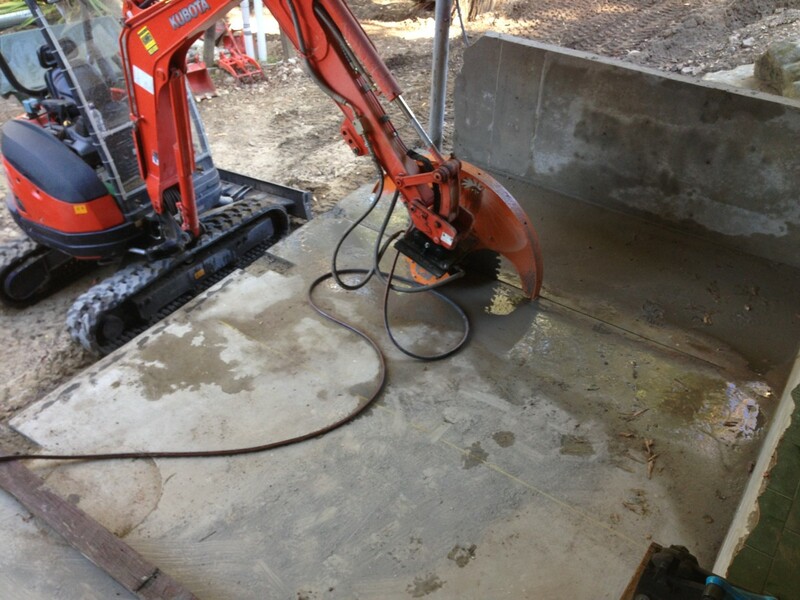 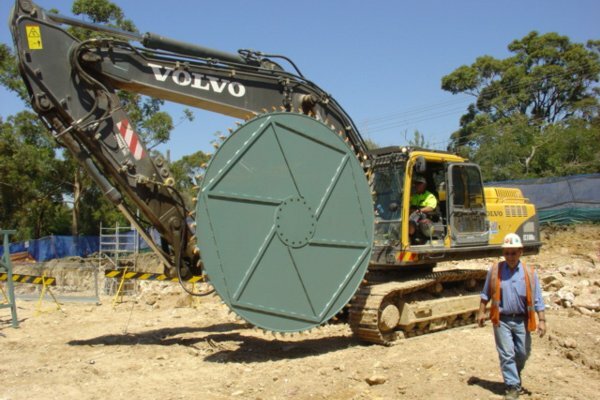 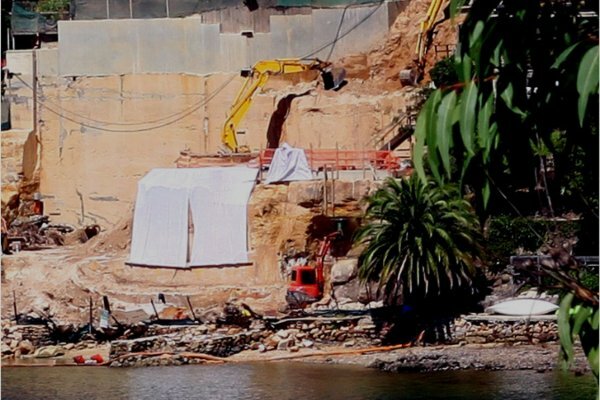 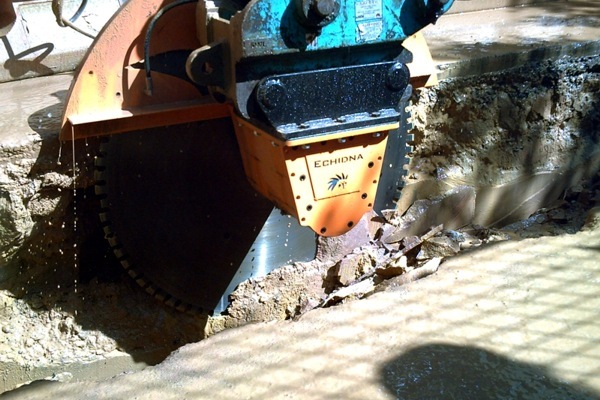 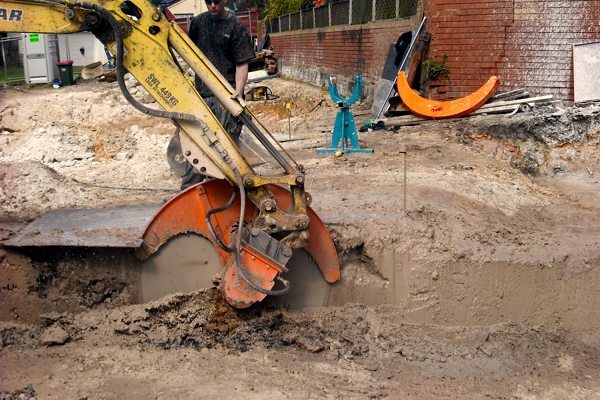 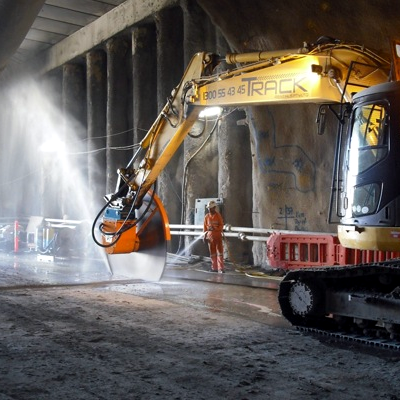 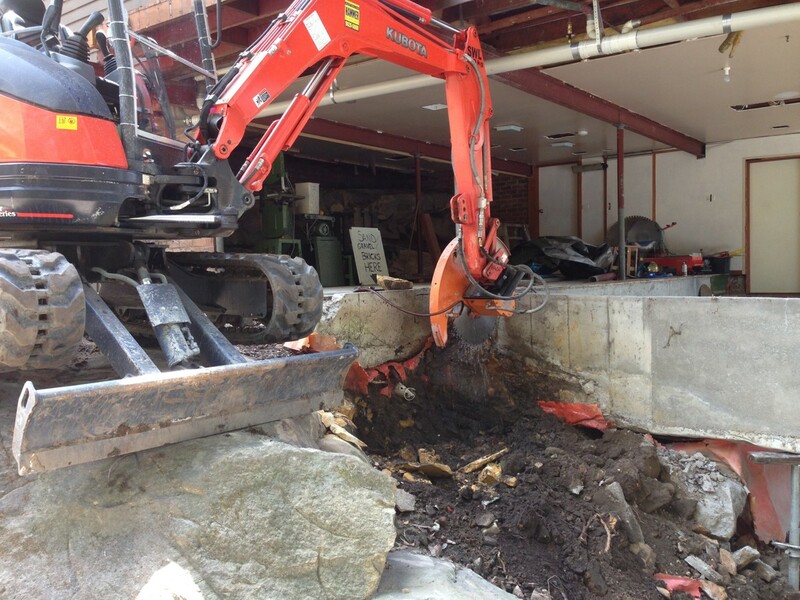 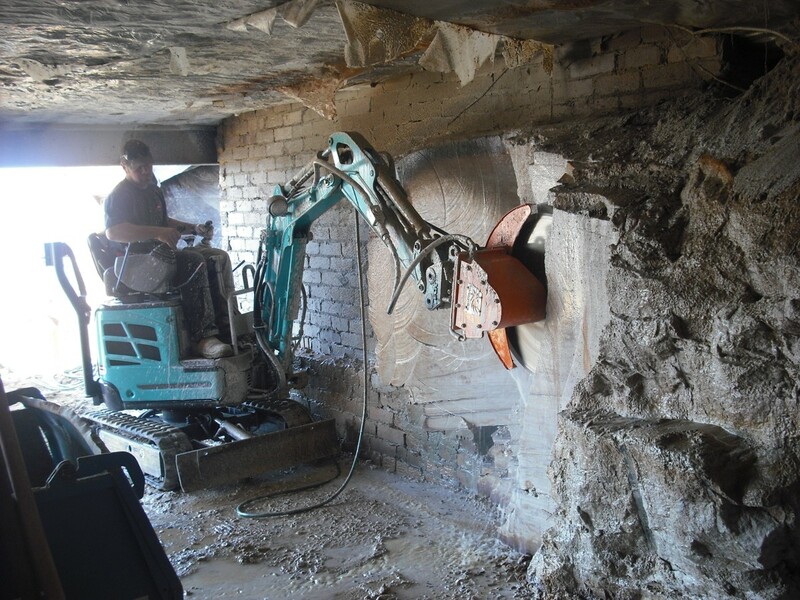 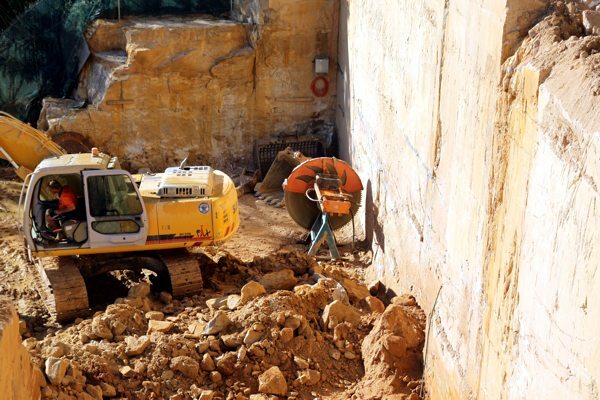 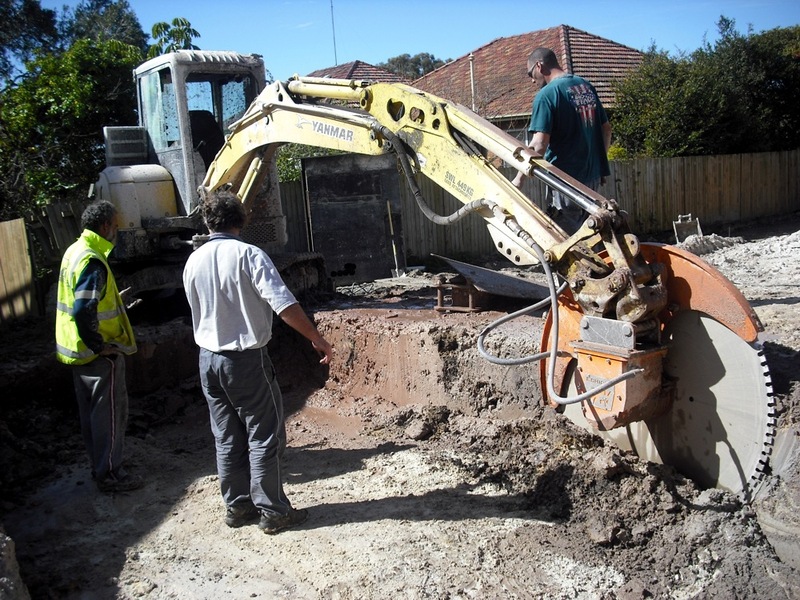 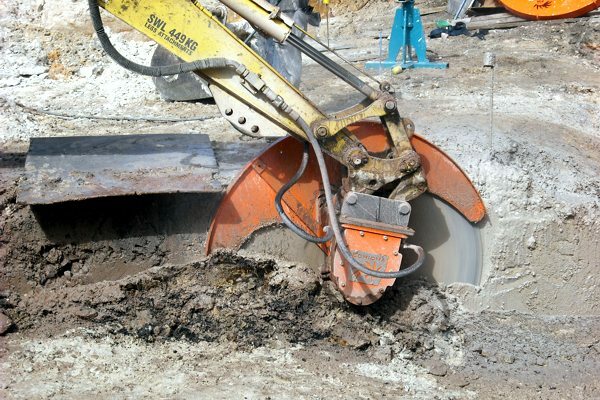 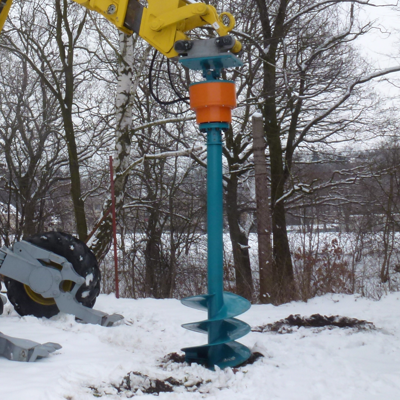 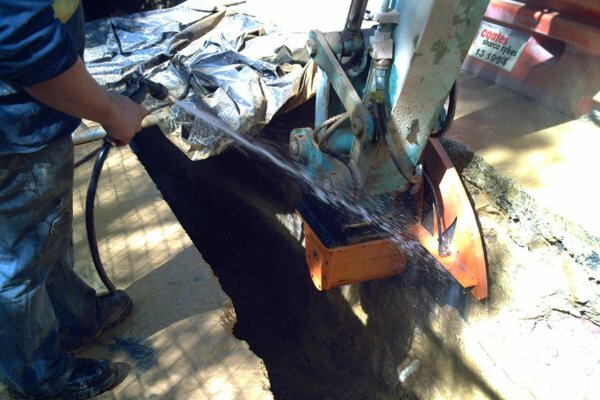 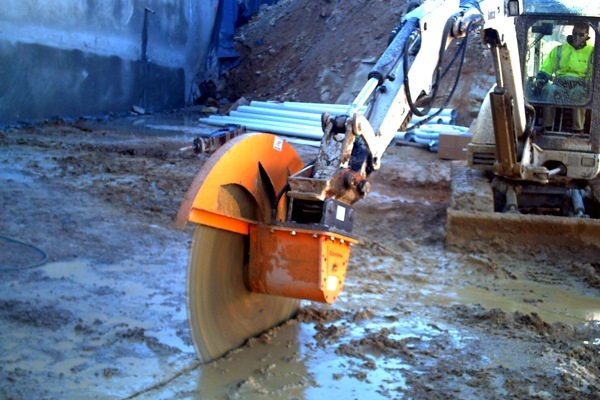 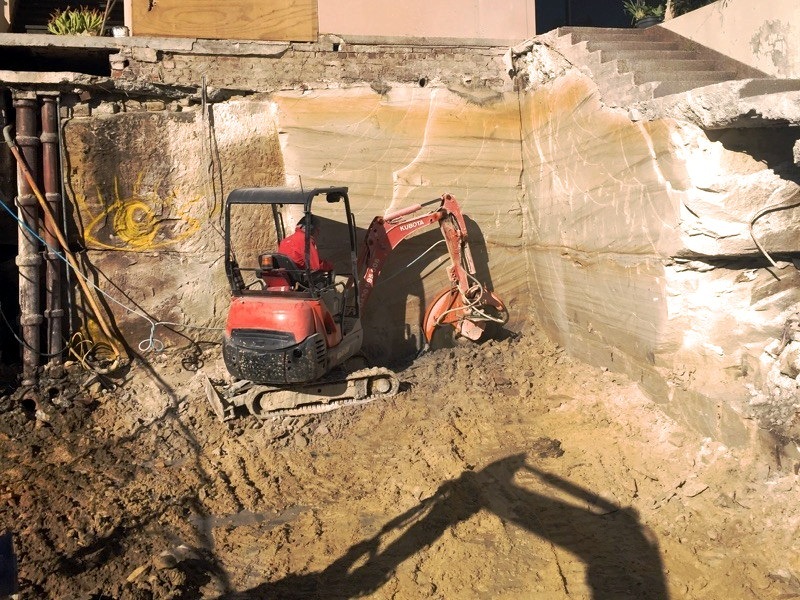 The word "excavation" covers a wide range of operations such as; trenches, basements, carparks, footings, swimming pools. 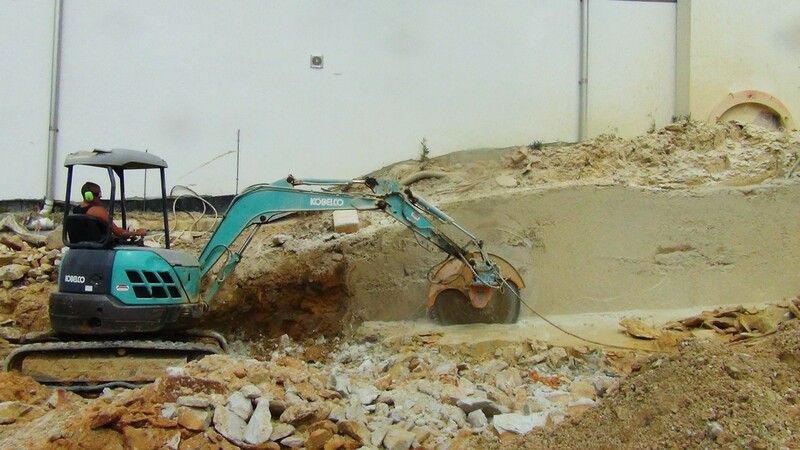 The scale varies from multi-storey building sites to single residence dwellings. 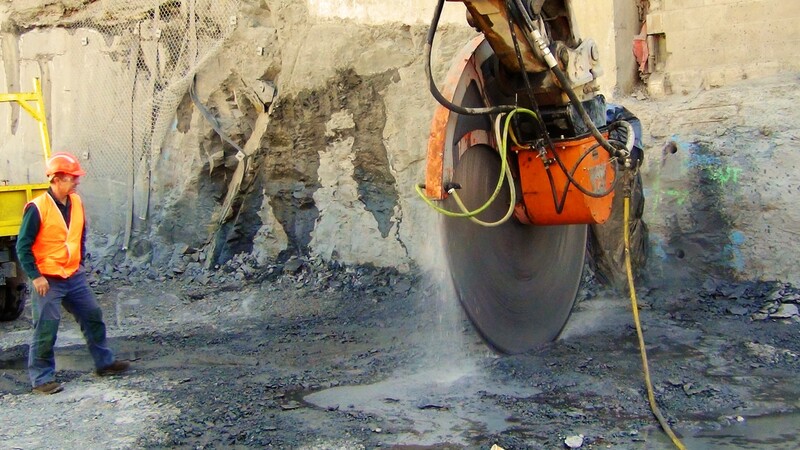 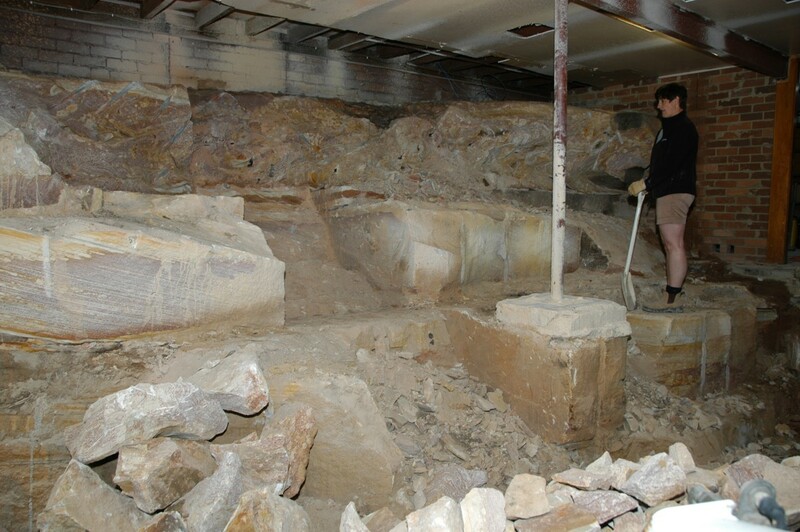 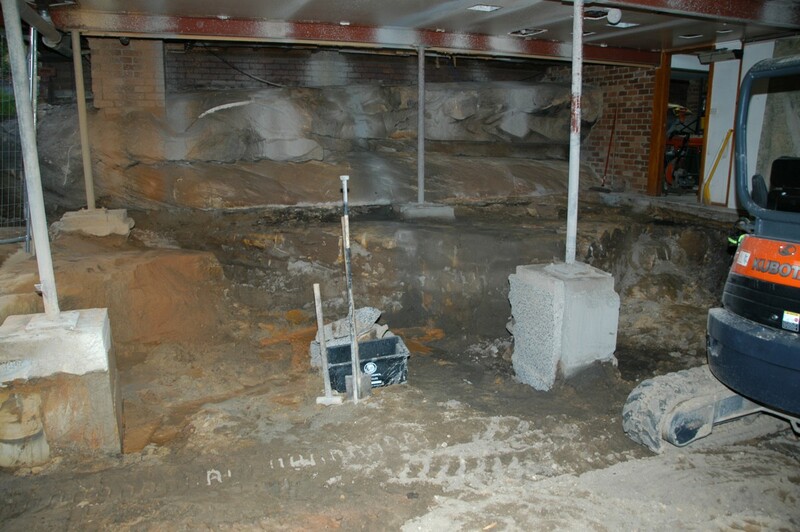 The material to be excavated varies widely with location - from soil to very hard rock. 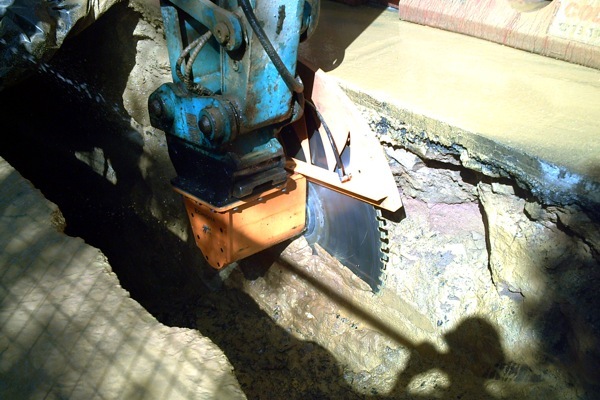 There are often limitations on access to the sites, which will effect the size of excavator that can be brought in. 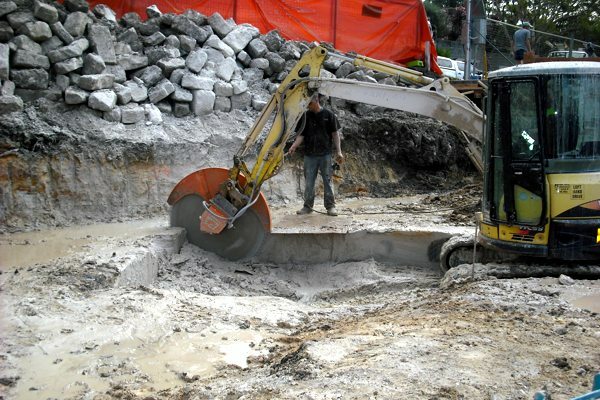 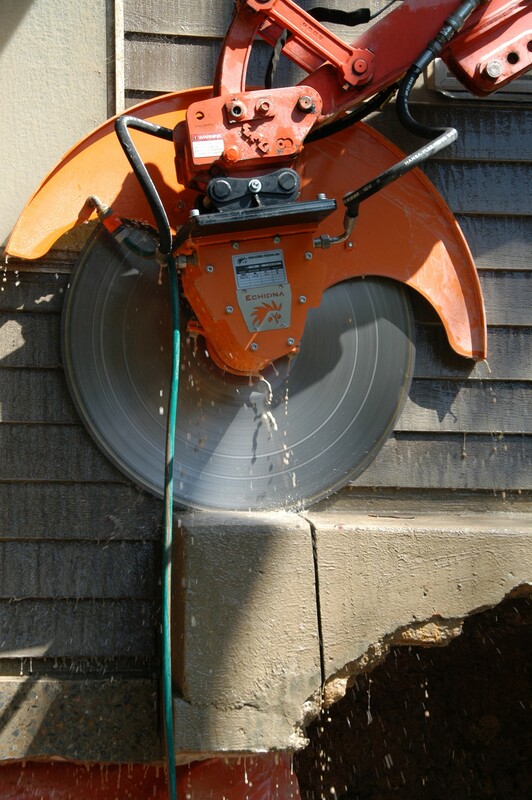 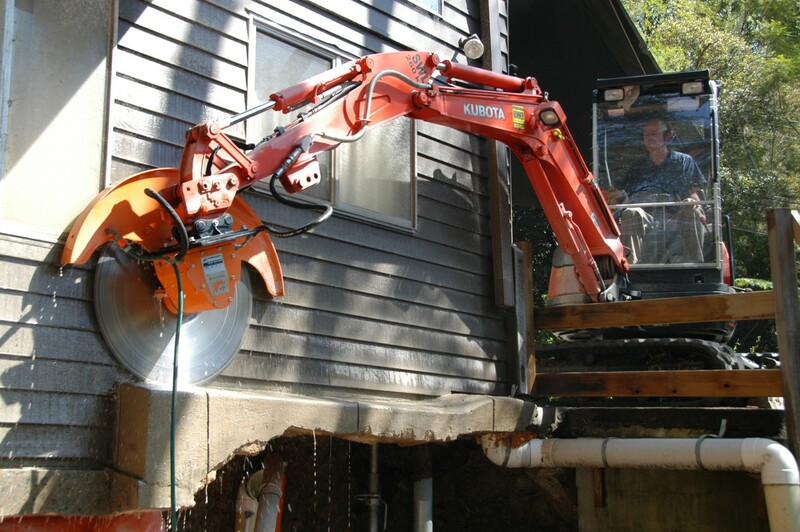 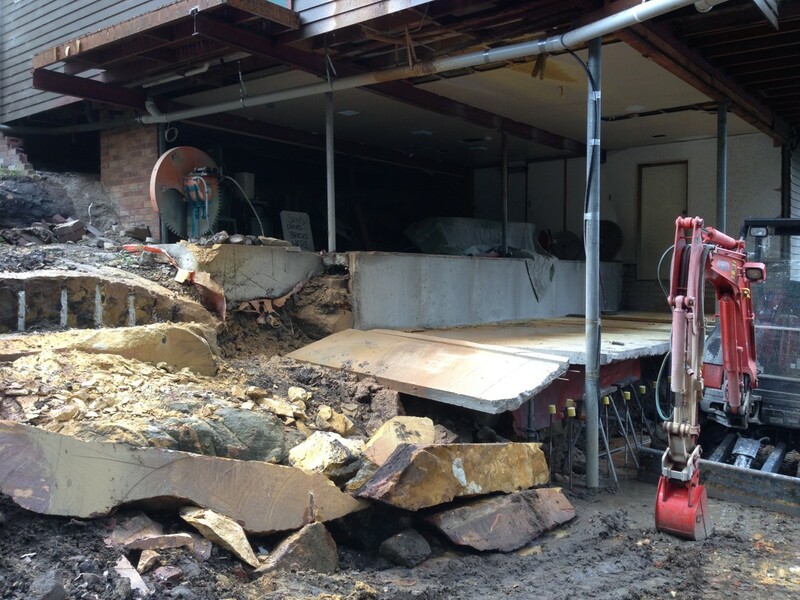 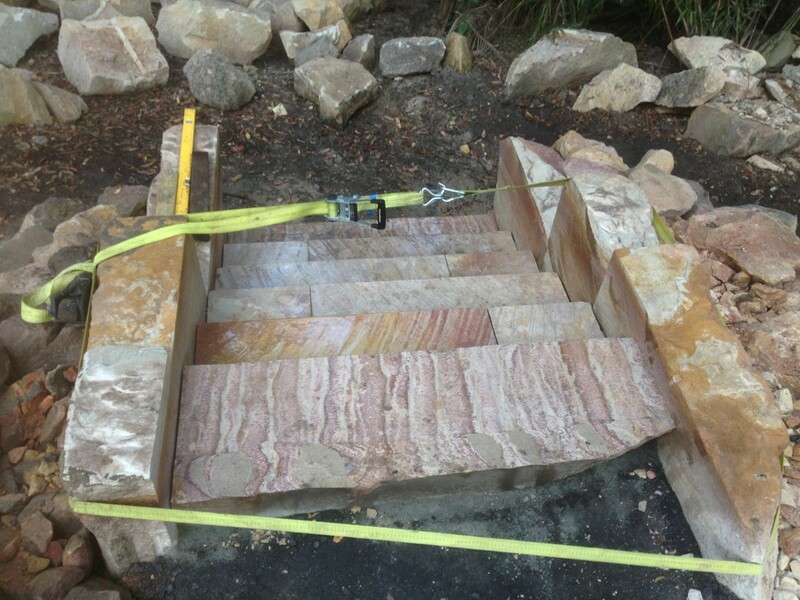 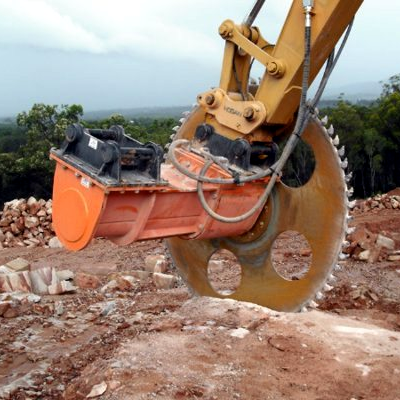 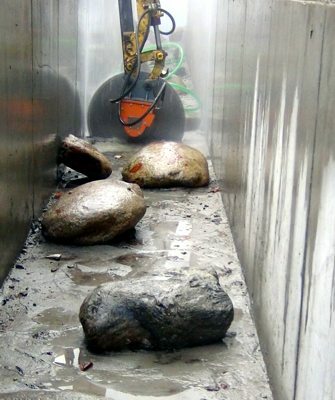 Rocksaws can be used for removing hard rock where hammers are ineffective. 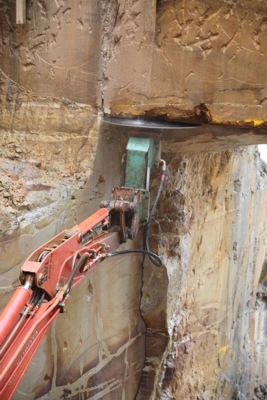 The rocksaw cuts slots in the rock, and the hammer is used to break the cut rock away. 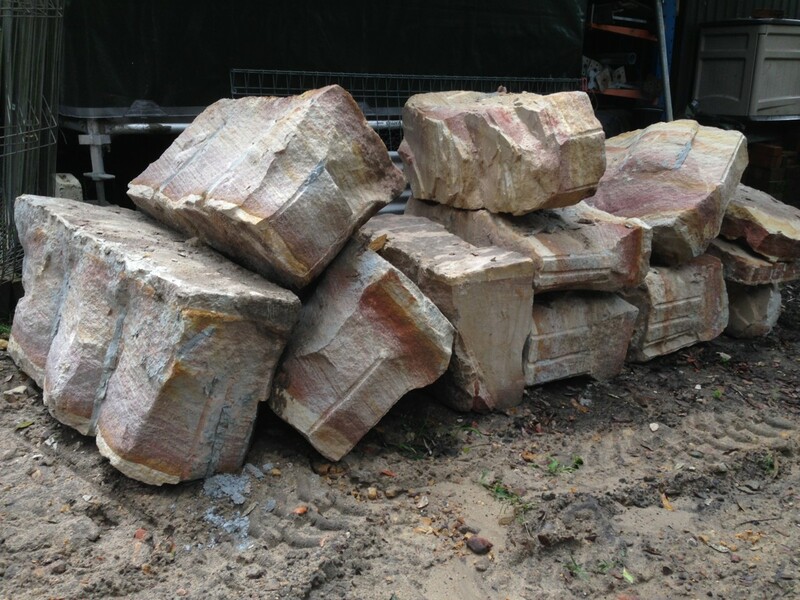 The number of cuts required depends on the how easily the rock can be broken. 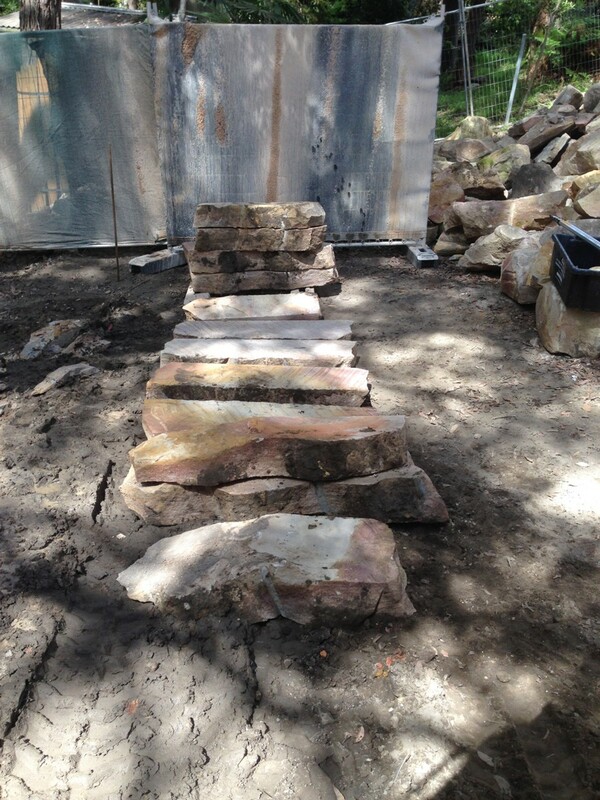 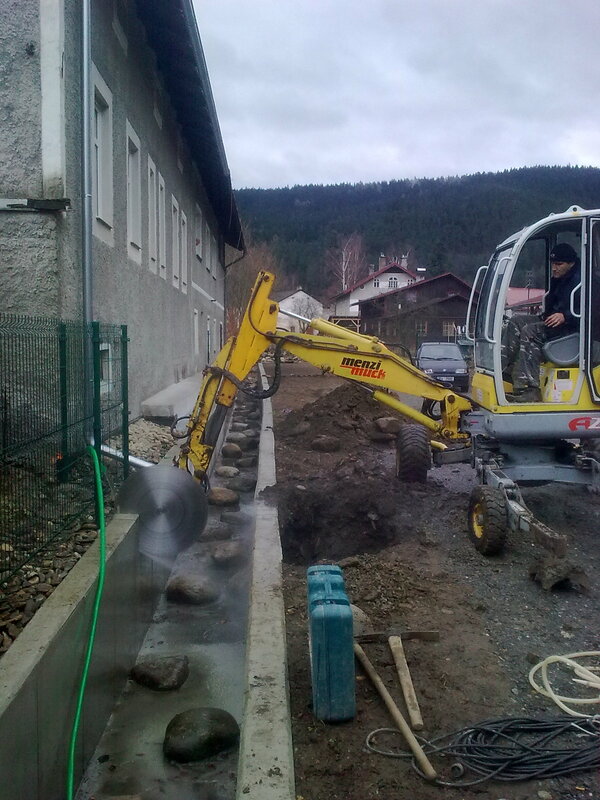 In softer rock, they are often used for boundary cutting, providing a smooth regular wall. 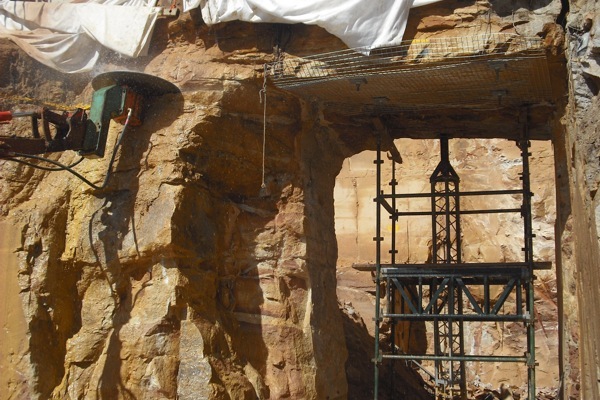 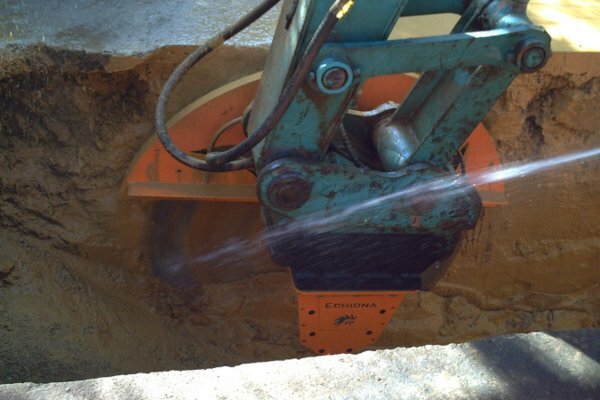 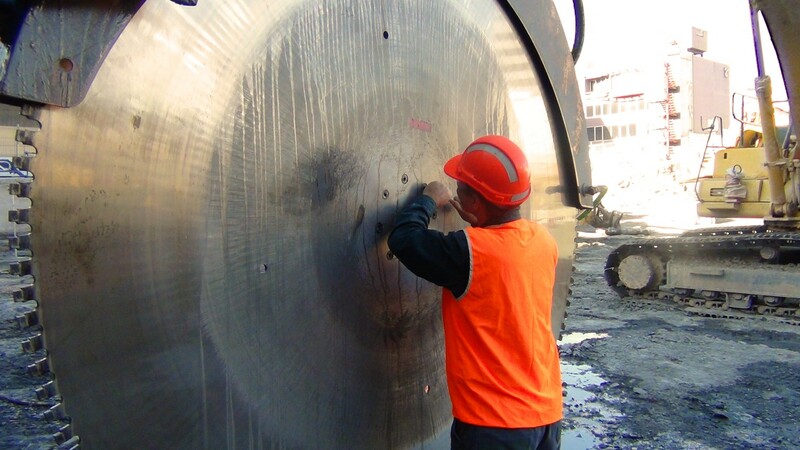 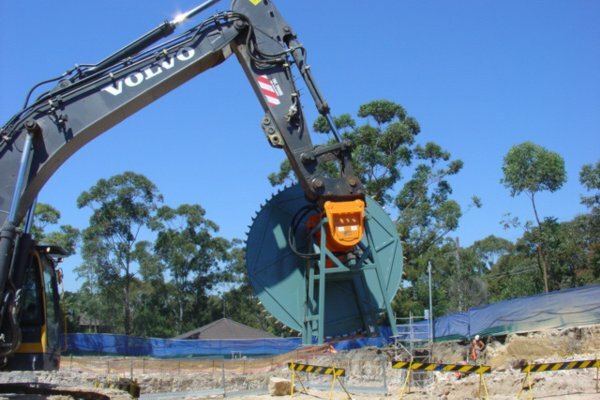 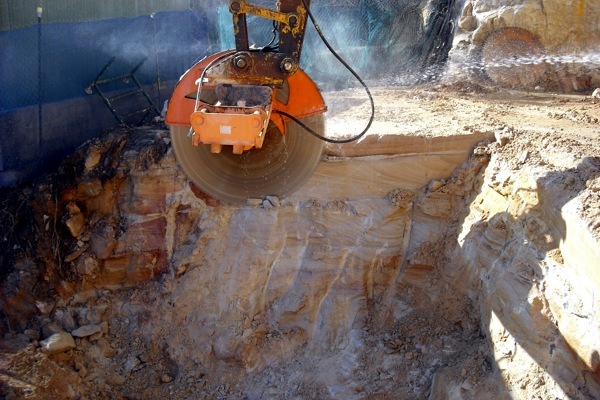 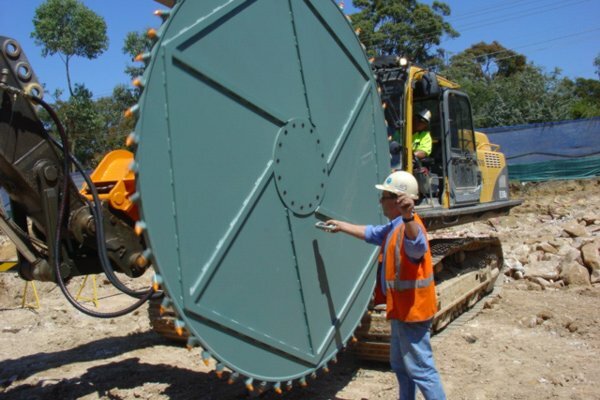 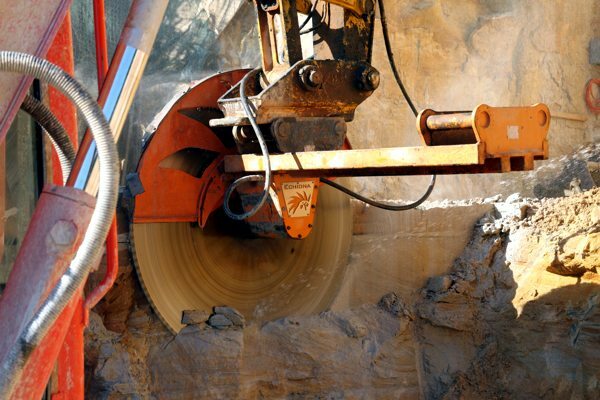 For cable trenches in soft rock such as sandstone and limestone, tungsten-carbide saws can be very successful by producing a cut wide enough for the cable to be laid with a single cut. 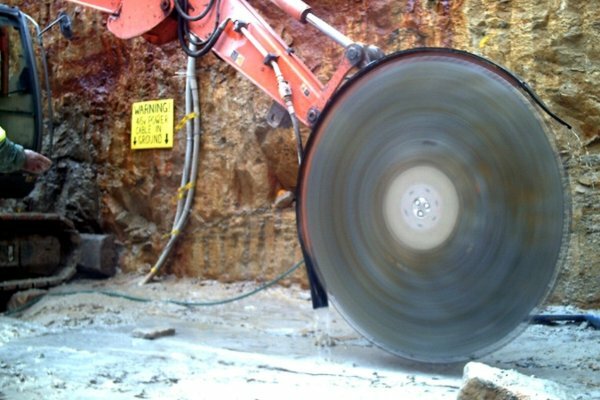 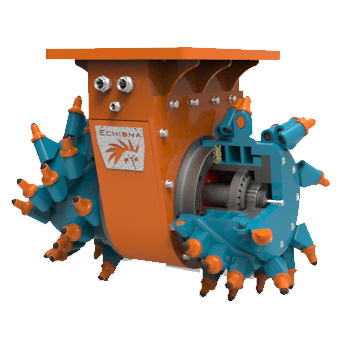 In hard rock, twin-blade diamond rocksaws can cut two parallel slots in the rock at the required distance apart, and then the material must be broken off and removed. 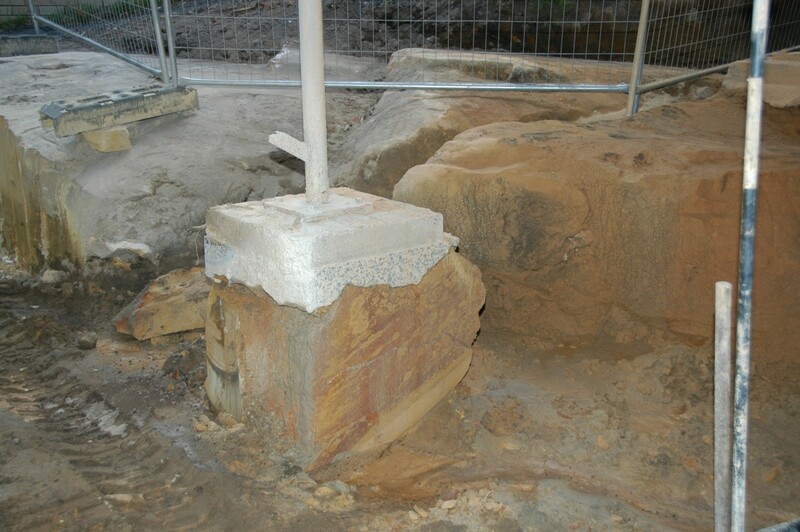 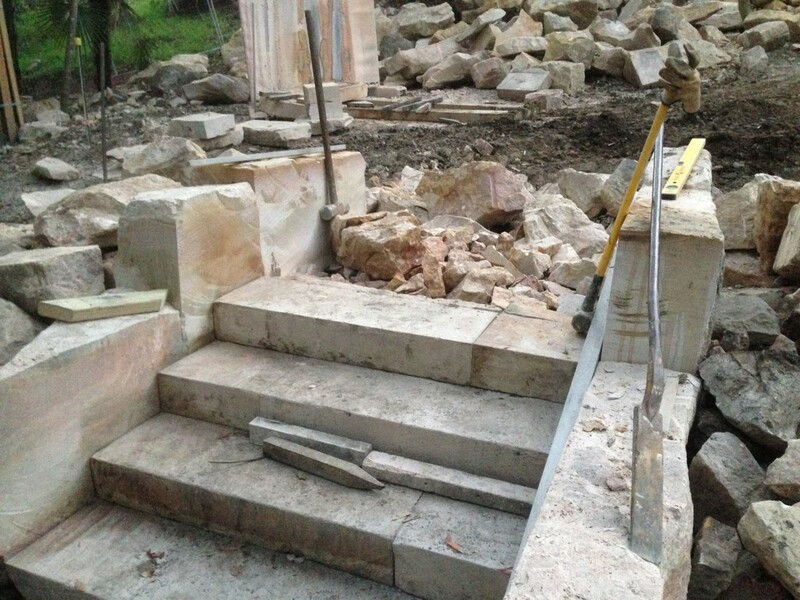 From some building sites, it is possible to remove blocks of stone, and reuse them as dimensional stone on the site, or elsewhere. 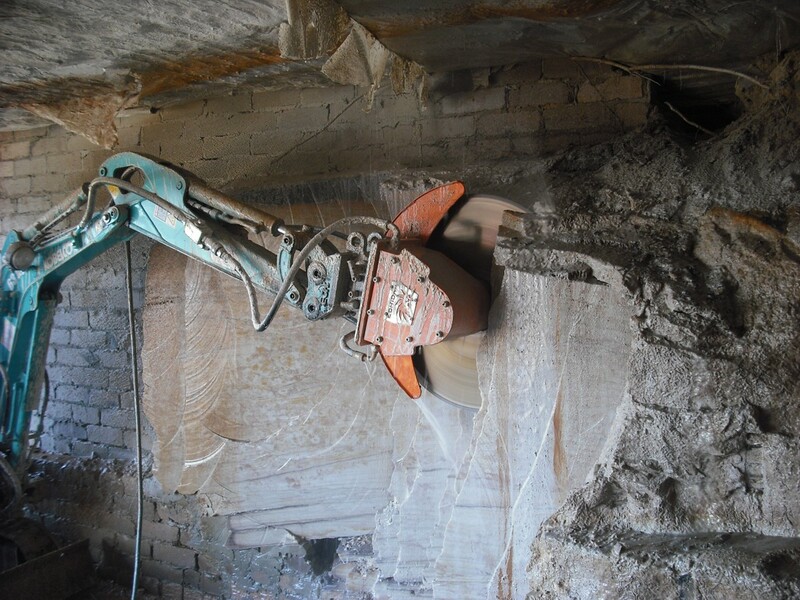 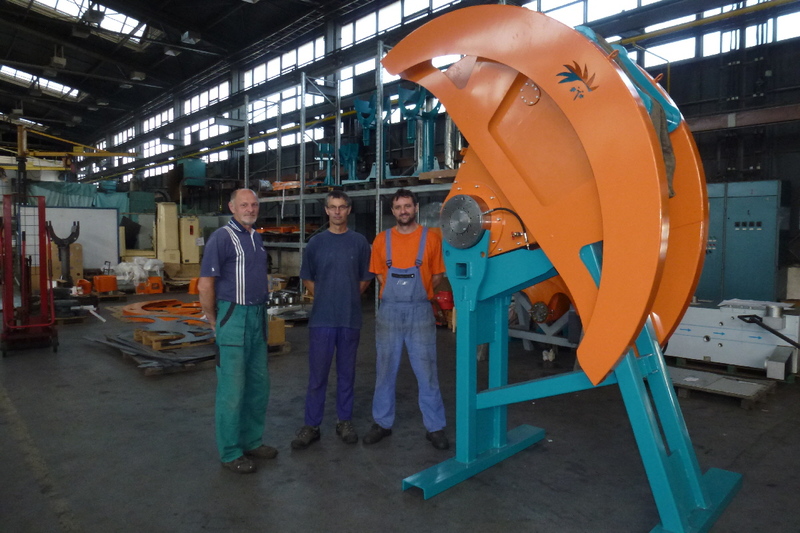 This converts waste material which is expensive to dispose of, to a valuable building material.